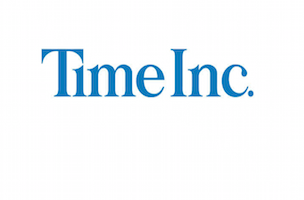 The changes at Time Inc. continue. Late last week, the company phased out the publisher role and on Tuesday the media giant revamped its business leadership team. Now, alterations to the sales team have been made. “This new structure will allow us to better serve our advertising partners and deliver on the promise of being a one-stop shop and solutions-based platform for advertisers and agencies,” wrote Time Inc. exec vp and CRO Mark Ford, in a memo to staffers. New category sales leaders include Karen Kovacs, president, food and beverage category; Lauren Newman, president, beauty category; Rick Simmons, senior vp, automotive category; Greg Schumann, president, retail and pharmaceutical categories and Brendan Ripp, president, financial services and technology/telecommunications categories. Charlie Kammerer, president, news and business, sports and lifestyle groups, will lead brand sales for Time, Fortune, Money, Time for Kids, Motto, Sports Illustrated, Golf, SI Kids, Real Simple, Cooking Light, Health, MyRecipes and Cozi. Ron King, senior vp, fashion/style, shelter and multicultural groups, will lead brand sales for InStyle, Stylewatch, Southern Living, Coastal Living, Sunset, Essence and People en Español. A third exec will be tapped to lead brand sales for the entertainment and luxury groups, which include People, Entertainment Weekly, Instant, HelloGiggles, Food & Wine and Travel + Leisure. Digital sales will be led by Brad Elders, president, digital sales. All category, brand and digital sales leaders will report to Time Inc. president and COO Mark Ellis. Chris Schraft, president, branded content and native advertising sales at Time Inc.’s sponsored content arm The Foundry, will lead the agency development team. Christine Wu, senior vp of Time Inc. advertising strategy and marketing, will oversee corporate marketing and events, advertising strategy, insights and activation.